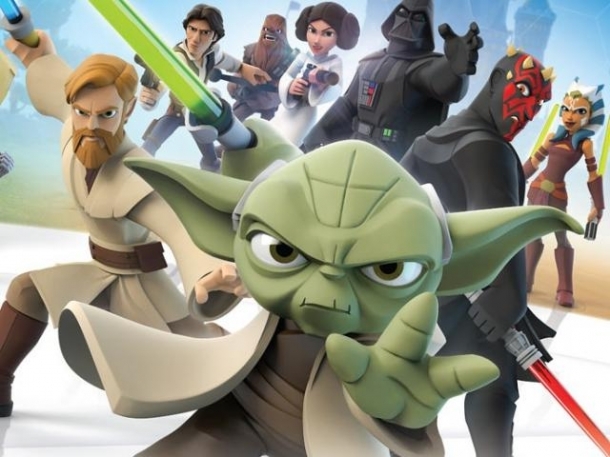 Disney Infinity is an action-adventure title that is being developed by Avalanche Software and published by Disney Interactive Studios for Microsoft Windows, Nintendo 3DS, Playstation 3, Playstation Vita, Wii, Wii U, and XBOX 360. 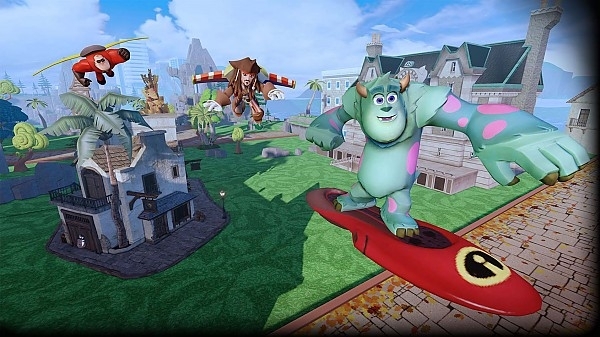 The game utilizes real-life figurines, similar to Skylanders, which can be brought into the game. 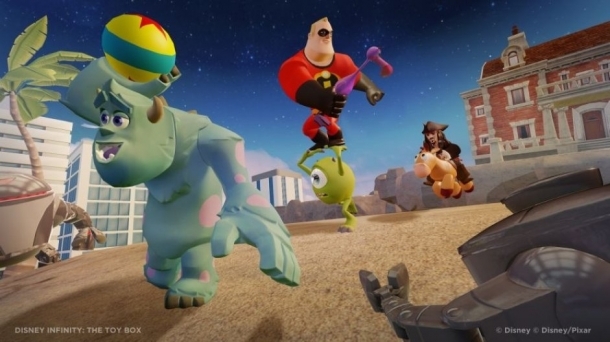 Each Play Set will allow for Disney worlds to experience its own story, while Toy Box is a mode that allows the player to build whatever they want. 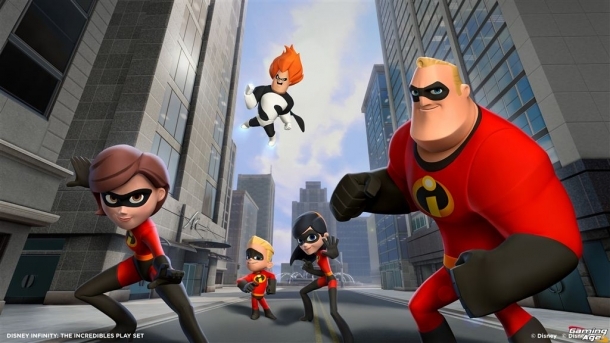 Disney Infinity uses collectible figurines that can be placed on an Infinity Base that transports those characters into the game. 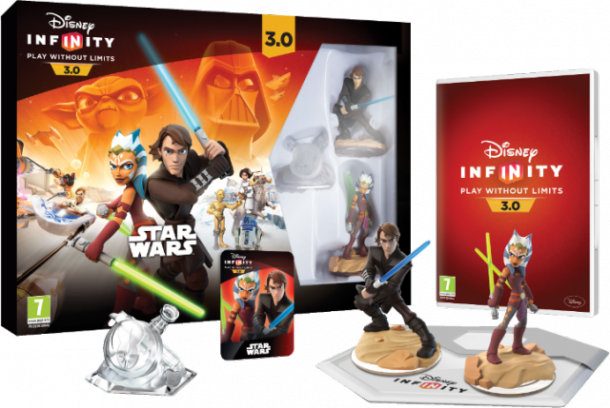 The Infinity Base allows for two characters to be placed on it at a time, as well as a world disc slot for opening up more Play Sets. In addition, there are power discs that can be used to power-up your characters, as well as other discs that open up new items to use in Toy Box mode. Playsets are individual six hour "campaigns" based on individual Disney movies. 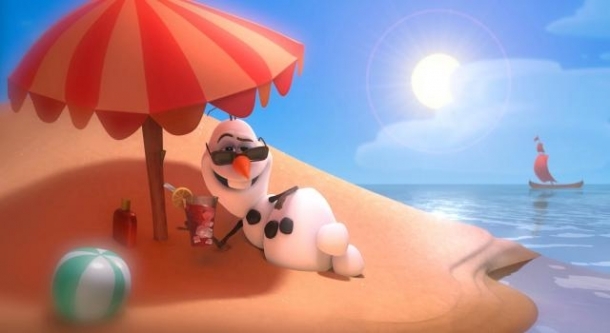 Only characters from that movie will be playable in the playset. How does Mr. Incredible make it to the second city/island? I can't glide, jump, hooverboard or swim.